Cryptocurrency has finally arrived to Miami, in the USA. The announcement was made by the Reddit user SoBeHax, who reported that Planet Linux Caffe (it’s not a mistake, they write the name like that) a coffee shop located in Coral Gables, will soon be accepting payment in Bitcoins. If the announcement is true, this will probably be the first establishment in Miami saying ‘yes’ to Bitcoin. However, the coffee shop’s website is not showing any “Bitcoin accepted here” sign yet, so it’s still waiting for confirmation. The only possible clue, besides the Reddit announcement, are the debates about Bitcoin that the Planet Linux Caffe is organizing. 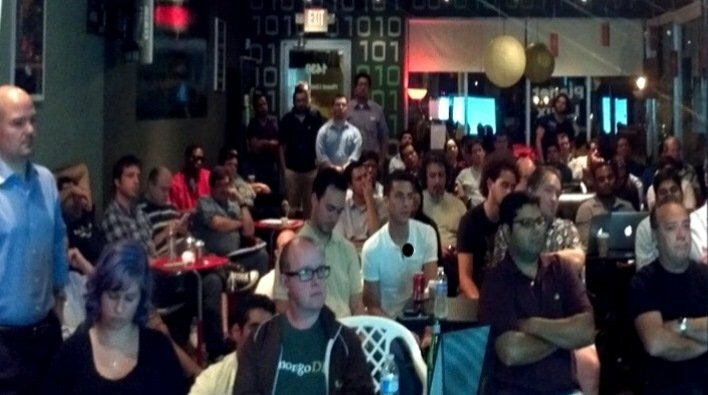 The coffee shop has already hosted a meetup on the 18th, this Tuesday, but there will be a new session on June 27, next week, about Bitcoin secrets. So, if you’re a cryptocurrency lover and you live near Coral Gables, why not show up and learn more? One of the meetings at Planet Linux Caffe. The Planet Linux Caffe describes itself as “your open source meeting place” and also as “the first hackerspacer placed in Coral Gables, South Florida”. According to this description, it makes sense if they are really accepting Bitcoin. The coffee shop is a place where “meetings, presentations, workshops, CTF and hackathons” gather huge groups composed by techies and experts, while the Linux staff provides “the most important beverage to power them all… coffee”. Everyone should check this amazing place out when they are in Miami.